As a preschool teacher and nanny, there were probably 5,798 times that I needed to sing a quick song or play a quick game to keep ‘my’ kids entertained. And 10,874 more times I couldn’t for the life of me think of one. single. song. to sing! I would just draw a blank, even though I had probably already spent half the morning in a singalong… But there’s no time to think when you’re working with young children. And when tempers are flaring, or tummies are grumbling, you need to be quick on your feet and distract the misery out of those little ones! My secret was to always have a stash of songs and games with me wherever I went. Sitting on the windowsill in my Circle Time area was my Can of Songs. And stashed in my classroom backpack, which went with us whenever we left the classroom, was a list of songs and games. 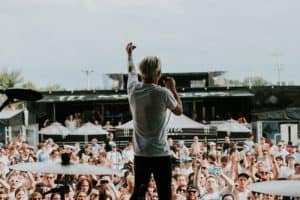 Having your own collection of your favorite engaging songs and games readily available can make the difference between a disastrous outing and a fabulous one. And that collection can also save the day during a tricky circle time or storytime! So how can you make your own collection? Pinterest has a wealth of pins with printable lyrics and games to play. So start pinning and printing a few today, a few tomorrow, and in no time you’ll have a nice assortment to keep your kids entertained, especially in a pinch. Keep copies where you’ll most need them–in your purse or diaper bag to distract grumpy kids in the car or at the park. And in your classroom backpack to help with transitions and long wait times. Or at your story time or circle time space for those times when things just aren’t going as planned. 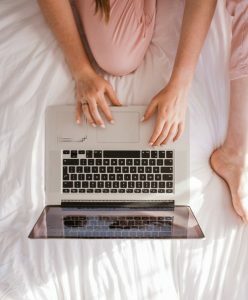 No time for searching the Pinterest rabbit hole? Want someone to do the work for you? Well it’s your lucky day! I’ve put together a mini-version of my own Can of Songs just for you: 7 song & game strips, ready to print. Along with lyrics and instructions! Sign up for my (fun and cute) emails, and the Song Strips are your little gift. Ready? Set? Go! Give me those Song Strips! Have fun with the kids while you build all sorts of early learning skills, including math and time concepts! 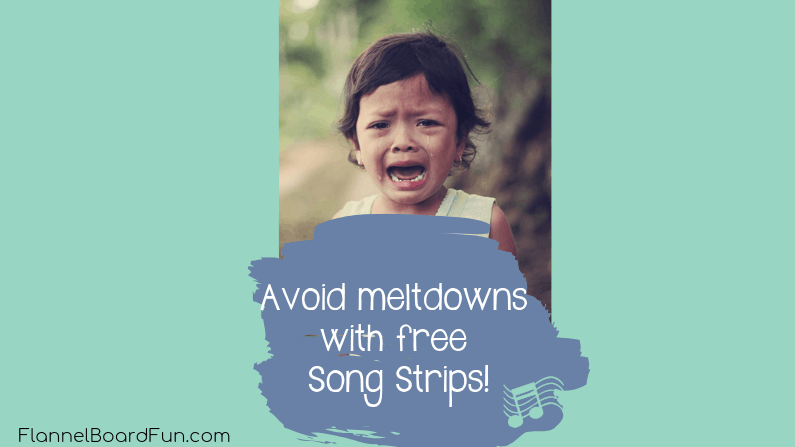 Keep song strips on hand to keep the kids engaged, and avoid probable meltdowns! Want more activity ideas to do with your little ones? Sign up for my newsletter, and get a free Shake Your Booty cube in your first email! Gimme that Shake Your Booty cube!